After offering to settle the price fixing case back in September, Apple and four major publishers — Simon & Schuster, HarperCollins, Hachette Livre and Verlagsgruppe Georg von Holtzbrinck — have had their offer accepted by the European Commission. The Commission states that the companies involved have terminated any on-going agreements with publishing agencies and exclude certain clauses within those deals over the next five years. Today’s ruling is confirmation of what was tabled a few months back, where other retailers (most notably Amazon) will be able to discount e-books over a two year period. “While each separate publisher and each retailer of e-books are free to choose the type of business relationship they prefer, any form of collusion to restrict or eliminate competition is simply unacceptable,” said Commission VP Joaquín Almunia. “The commitments proposed by Apple and the four publishers will restore normal competitive conditions in this new and fast-moving market, to the benefit of the buyers and readers of e-books”. 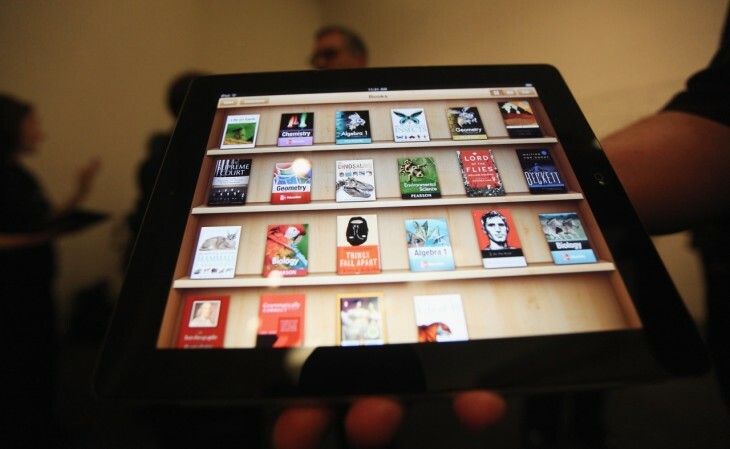 It’s taken the Commission over a year to get to this point, after it began investigating Apple and five major publishers in December 2011 over allegations that the companies had worked together to restrict competition over the pricing and marketing on e-books. It centered on the model that the companies employed, which dropped the traditional wholesale model (where retailers set the price of ebooks), and switched it to an agency model which included a “unusual retail price Most Favoured Nation (MFN) clause,” maximum prices and 30 percent commission rates payable to Apple. This meant that retailers could take a cut of the profits – effectively squeezing smaller booksellers. As part of the agreement, the publishers dropped the agency deals they had previously employed, agreeing not to enter similar MFN clauses for two years. The Commission agreed a “two year cooling-off period” where retailers can offer discounts on purchases that equal to the commission it receives from a publisher over a 12 month period. Apple drops its agreements also, including its deal with Penguin. However, the publisher “chose not to offer commitments to the Commission” but is in “constructive discussions” to close proceedings with the EC. It’s not the end for Apple or some of the publishers. The US Department of Justice has also sued Apple, Holtzbrinck/Macmillan and Pearson/Penguin and that is on-going.